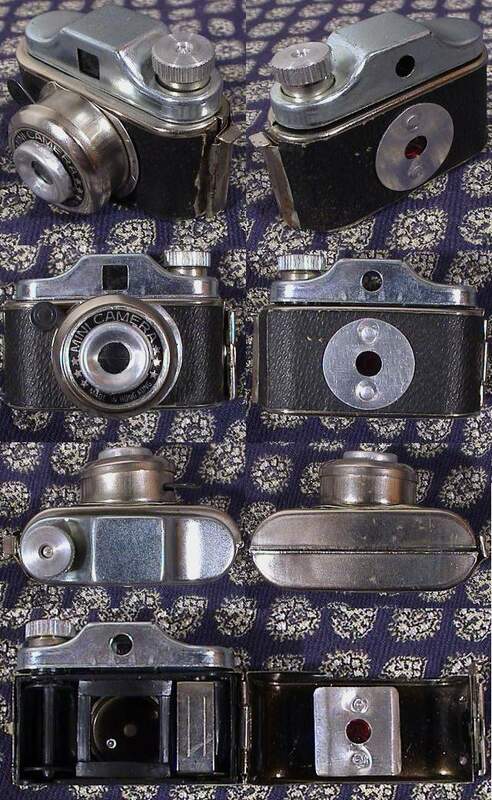 There are at least four versions, in two the difference being the size and design of the frame for the frame counter window and the third has the same scale pattern on the leatherette as the Arrow Camera and the fourth has no backing plate but a soft "leatherette cover" inside. Comment missing glass on the rear viewfinder window, holes in the plastic dye. Plastic spool. 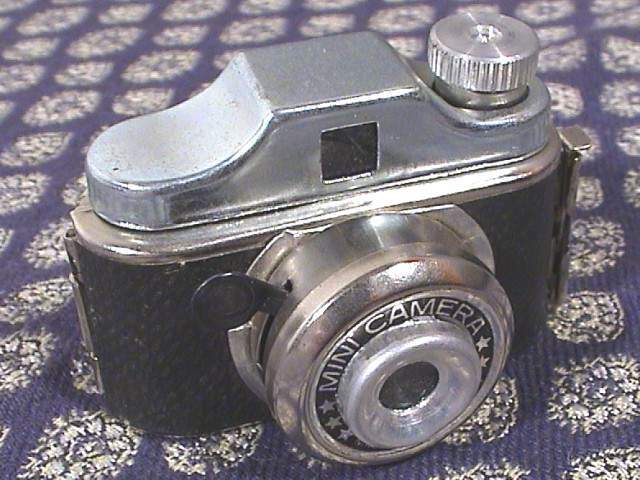 Name plate on at a steep angle (see photograph from the top and bottom of the camera).